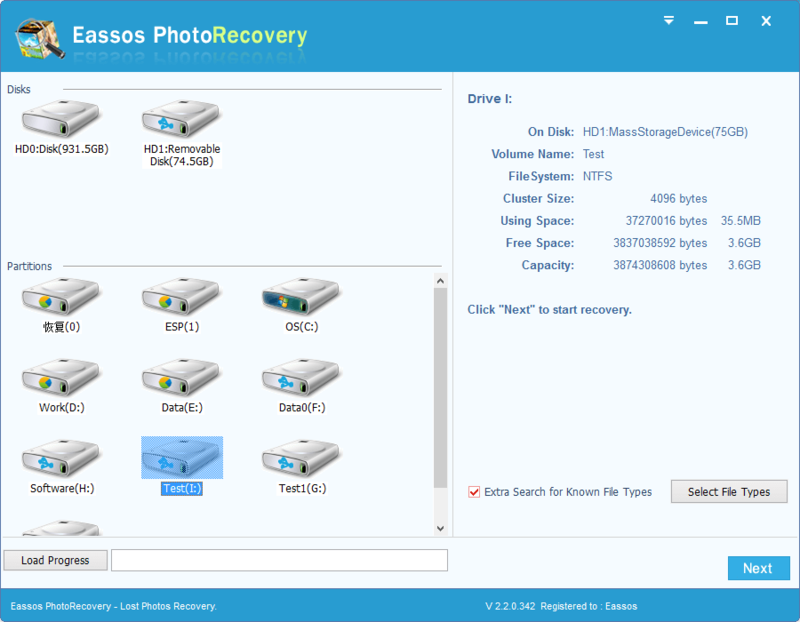 A step-by-step guide to recover deleted photos from digital camera with Eassos data recovery software. It’s understandable that we are afraid of losing precious for good and being unable to get them back. In reality, chances are that we can recover deleted photos as they may still stays camera card being invisible to us. A simple explanation that you can get back deleted digital images is that deleted pictures are not actually erased off your canon camera. As data is saved on each sectors of digital memory card, and image information or entries are saved in file allocation table. The deletion process removes entry only and data still remains memory card. Thus, you’d better stop taking photos or videos with the Canon camera, otherwise new files will overwrite deleted photos. Photo loss problem can happen to all digital camera users, and we need to learn an effective and easy solution to recover deleted photos. And you can seek help from computer geeks as well as Eassos photo recovery software which can recover lost, formatted, deleted and corrupted photos and digital images. 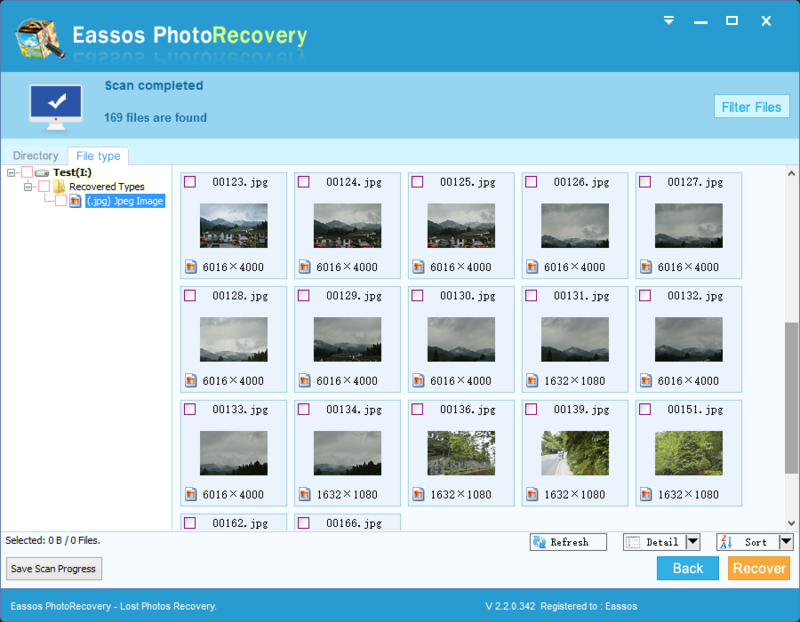 Eassos Photo Recovery is specially designed camera recovery and photo recovery software for all camera users. This photo recovery software supports recovery of all Canon cameras and other brands. And it works with carious storage media for photo scanning. The only limitation is that it runs under Windows only, and it doesn’t support Mac OS for the moment. Therefore, you need to connect your digital camera or memory card to a Windows computer. Download and install Eassos Photo Recovery to your computer and launch it. Select your Canon digital camera or memory card to scan. Preview and save desired photos. This entry was posted in Data Recovery and tagged camera recovery, photo recovery software, recover deleted photos by EASSOS. Bookmark the permalink.